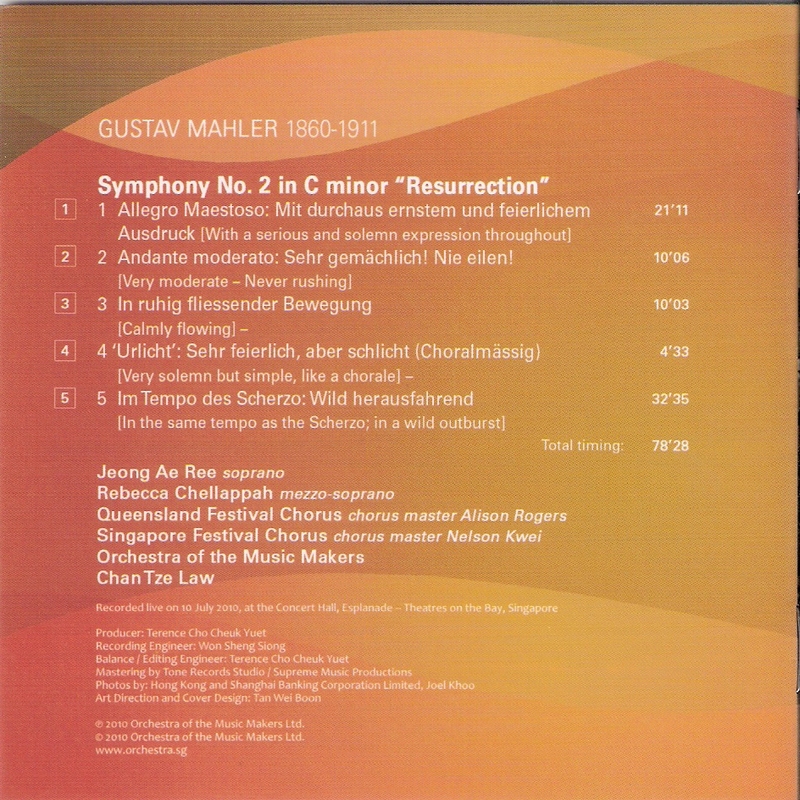 In Hong Kong, Edo de Waart continues his protracted survey of the Mahler symphonies with what promises to be an unforgettable account of the Sixth next weekend (18th and 19th Feb). 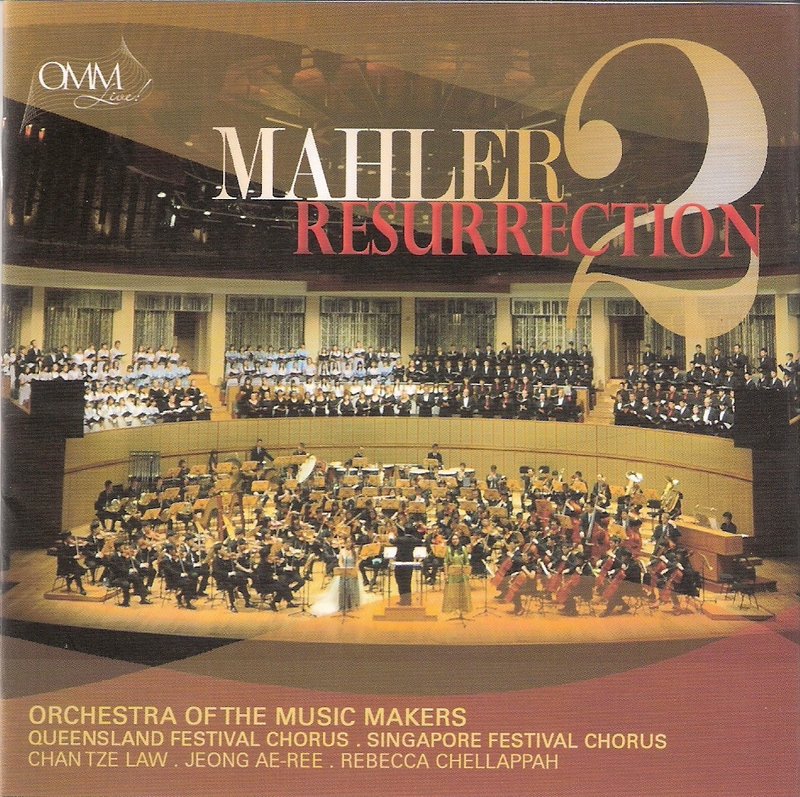 I love his Mahler and am only sorry that a family funeral in the UK will keep me away (and, incidentally, my apologies for not being there to give the usual pre-concert talk on Friday); I still recall his fantastic Seventh back in September. In Malaysia, Claus Peter Flor will be doing the Ninth on 7th and 8th May - an absolute must for any true-blooded Mahlerians - while the Malaysian Philharmonic Youth Orchestra are still on a high after their tremendous efforts in the First back in December. 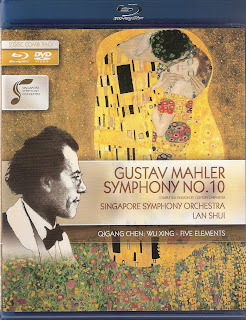 In Singapore, not forgetting Rattle's riveting take on the First during the Berlin Phil's brief visit last November, Lan Shui brought the Singapore Symphony's complete survey of all the Mahler symphonies to a spine-tingling close a couple of weeks back with the Ninth, and their DVD of the Tenth, taken live from their performances of the Clinton Carpenter completion has now hit the shops (and their online shop which you'll find on their website - follow the link). Mahler's still very much alive and kicking in South East Asia, memorable performances popping up with frightening frequency. 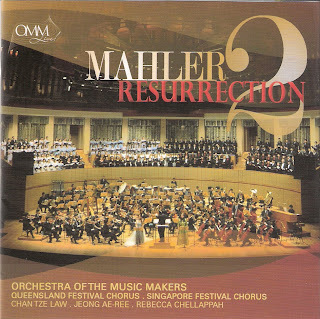 I still reckon that last year's performance of the Second in Singapore by the Orchestra of the Music Makers was, in its special way, the most exciting of them all and, as luck would have it, I've been afforded the rare luxury of being able to go back to the review I wrote after their live performance and reconsider it. They have brought out the performance, taken live and with no obvious editing, on CD. I have to say I sat down and listened to it with a certain trepidation; when you review a live performance you don't always want your words thrown back in your face. Yet, if anything, I understated the case. True, I missed the near-catastrophic opening of the Urlicht - but then that's such a terribly difficult entry that very few ever do get it totally right - and wind intonation did falter rather more than I had first suggested. But I also missed the incredible tautness and visionary sense of architecture Chan Tze Law brought to the performance. I was so bowled over by the orchestra's playing, that I forgot about the interpretation. And I apologise, now, that a truly inspirational reading of this mighty score was, perhaps, not as highly praised then as it should have been. and I stand by every word!